Shepherd Neame, Britain’s oldest brewer, is delighted to announce the acquisition of another central London pub. 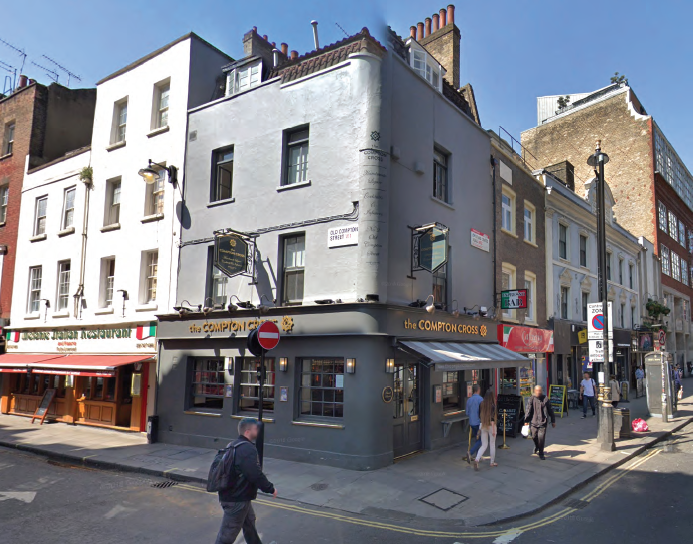 The Compton Cross, on the corner of Old Compton Street and Charing Cross Road, is one of Soho’s best known pubs. It is recorded trading here as early as 1731, making it one of the area’s oldest, and is Grade II listed. The pub will close briefly and re-open on Monday (April 15). A refurbishment is planned to take place in July. Nigel Bunting, Shepherd Neame’s director of pub operations said: “We’re delighted to add this famous old pub to our growing London portfolio.